If you’ve traveled a lot, you know that while each place is unique in its own way, there are a lot of similarities among them. Honduras and Guatemala have different cultures and a different mix of indigenous people, but there isn’t a lot that separates them really. If someone was to show you photos of both places, you might not be able to distinguish them easily. As I’ve said before, Morocco is . . . extremely unique. Changing cities is like changing worlds. Marrakech is a collision of worlds. And that makes it a place you most definitely should visit at least once in your life. 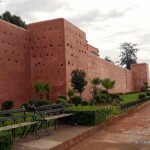 The areas within Marrakech are definitely distinct. 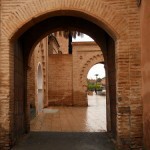 To step into the medina, or old, walled part of the city, is to travel back in time. The square is as unique as the city and has three very distinct faces. In the morning the only vendors are those selling fresh-squeezed juices (a glass is 4 MAD or about 48 cents USD). Cars, scooters, and mopeds make only an occasional appearance. By around 11 AM, the Djemaa el-Fna square is packed with locals and tourists alike. In between the sounds of human and motorized traffic, you’ll hear the call to prayer as it is issued from the surrounding four mosques, as well as the 800-year-old mosque nearby. All this “music” will combine with the sounds of the pipes from the snake charmers. They are easy to locate even without the sounds. Just look for the large groups of people standing in circles. If you’re nervous about snakes, though, don’t get too close. There is a team of people working with the snakes, and they like to just suddenly appear and put a snake around your neck before you’re even sure what’s happening. Also be aware that they will likely demand money from you if you take a photo of the snakes. If you feel like it, hand them a 10 dirham coin (less than a dollar). 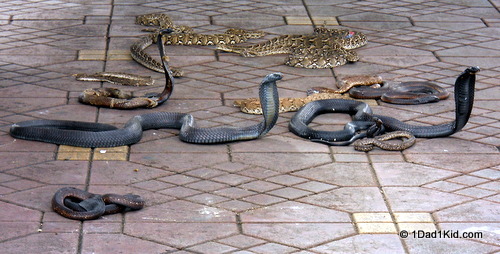 Mixed in with the snakes are henna artists and monkey handlers. It’s really cool to have a monkey sit on your shoulder or your lap for a photo, but after a few days of watching how they treat the monkeys, and generally observing their condition, I encourage people to not get their photo taken with them. 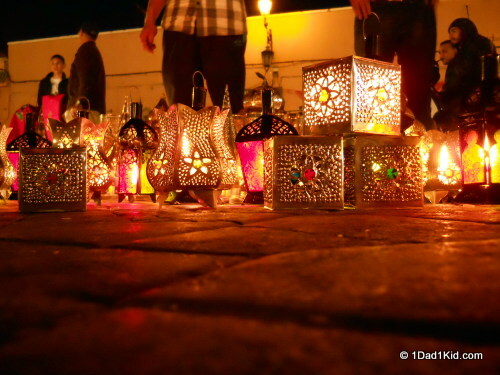 At night the previous vendors are joined by large tents that set up with chairs and tables to serve wonderful Moroccan dishes at very reasonable prices. While the area is heavy with tourists, they tend to stick with the restaurants. Even if you aren’t planning on eating in any of the tents, you should still walk by and check them out. You just may see some . . . interesting cuisine being prepared. At around dinnertime is when the plaza really comes to life. If you enter the square from the park, follow the buildings to your right, and you’ll come into the medina labyrinth. 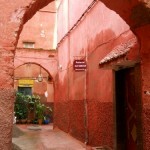 Here you will find some “hole in the wall” places serving some of the best food you’ll find in Marrakech. There are plenty of vendors selling everything from shoes to bags to djellaba to spices and natural remedies. Be advised that the touts can be a bit more aggressive with their sales attempts with women, and they don’t seem to care if they’re with a male. In spite of the fact that there are an incredible amount of riads (small hotels) and other lodging within the maze, we still didn’t see a lot of tourists spending time here. They mostly rush out of there for the square and other parts of the city. I actually loved this part of the medina. It felt even more other-worldly and medieval. We also ended up eating several meals here. Marrakech is also a city of cats. You will be hard pressed to find any dogs here. Apparently, canines are regarded as dirty. Most of the cats are quite friendly and love the attention. If you are with a cat lover, be aware that it may take you a while to walk around since there will be lots of opportunities for them to stop to pet some cute and playful felines. Just outside the plaza you’ll find a bit more of a Western feel. By the park you’ll find plenty of horse-drawn carriages eager to take you for a tour. You’ll also find a Kentucky Fried Chicken restaurant. Just in case you’re needing a break from tagines and couscous (and if you’re REALLY needing a break, the bus station has Burger King and McDonald’s). When you get to the main road, turn to your right and walk until you notice a park on your left. 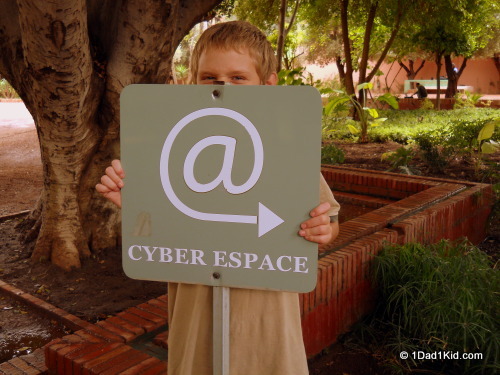 There are multiple flags and a large sign announcing you’ve found the Cyber Parc. Inside this gorgeous, lush park, you’ll find kiosks with free high-speed Internet. I’ve been informed there is also free WiFi within the park, but I didn’t try it out. There is also a cyber cafe toward the middle of the grounds. The park is a wonderful place to relax and enjoy a nature fix, as well as a great way of escaping the cacophony from within the medina. A couple of times we left the medina for the newer section of town just to see what it was like. Here are the glitzy stores (Cartier and the like) and large, fancy hotels. There are several fountains in the middle of roundabouts, and life moves at a more hectic pace. Well, a more modern kind of hectic than that of the medina. But even with the lovely sounds of tinkling water, it was just too sterile for my tastes. Our forays outside of the medina always ended up being short. 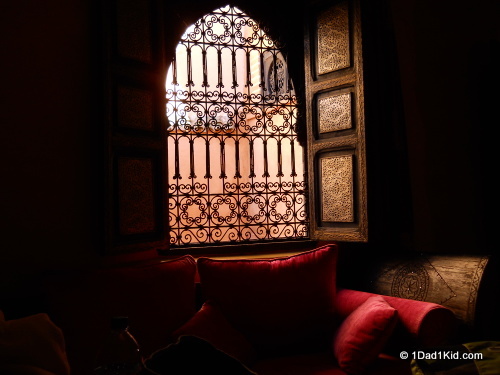 It was hard to leave the beautiful craziness of the medina for the modern world. Even with that, though, after 3 days we were ready to leave the serene chaos of Marrakech for the more sleepy coastal town of Essaouira. 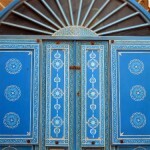 For more photos of Marrakech, check out its album on our Facebook page. Those snakes freak me out. Oh , I can’t wait to check it out. Just a few more weeks and we will be there. Thanks for this info. I will read your other posts too. Morocco is probably my favorite country. I’ve heard about the snake handlers and how they will come out of nowhere. That sounds positively awful to me. I would love to see Marrakech but I have a feeling I’d quickly be in overload. It’s pretty easy to be overloaded by Marrakech. You really have to be proactive in taking respite from the chaos when needed. But it’s SO worth a visit!